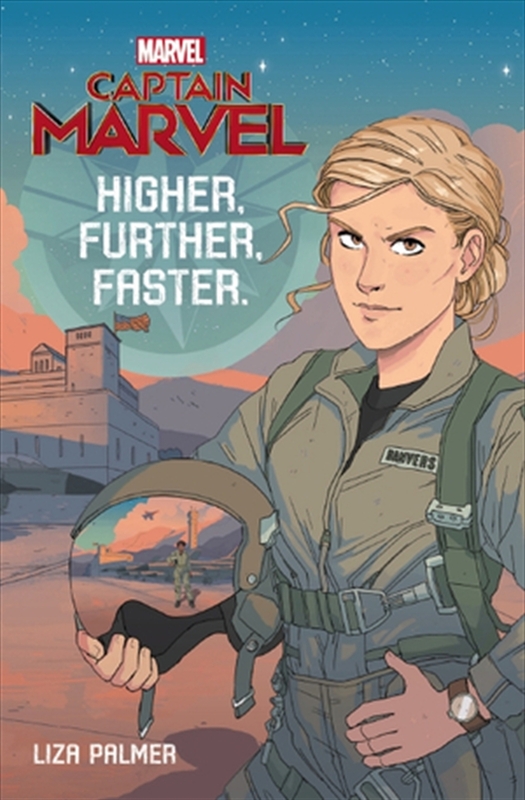 Before she became Captain Marvel, Carol Danvers dreamt only of becoming a pilot in the airforce. Protecting her country was always her priority. In this young adult novel, read how Carol and her best friend, Maria, overcome obstacles in a male-dominated environment to achieve their dreams... and at what cost? Captain Marvel will be in cinemas March 2019. This film is an all-new adventure from a previously unseen period of the Marvel Cinematic Universe and features the first solo female Super Hero lead in the MCU. This film will be supported by an international marketing and merchandise campaign. Captain Marvel promotes themes of self-discovery, bravery and teamwork. These new titles tell the story of how Captain Marvel becomes a Super Hero. Reading along with favourite Marvel characters can help a child’s confidence and increase their interest in books. Captain Marvel has a rich, 40-year history in Marvel comics. Her cinematic debut has been long awaited by loyal fans and hype surrounding the film is already huge. Captain Marvel will set the scene for the still-untitled follow-up to Avengers Infinity War. It was her symbol we saw on Nick Fury’s phone in the final scene, revealing Captain Marvel is the last hope the entire universe has against Thanos.